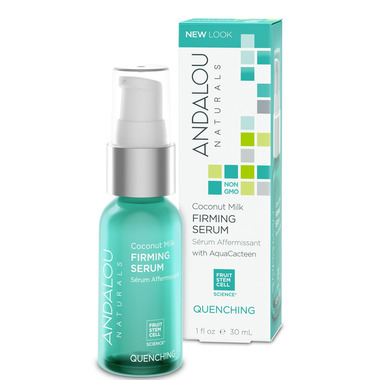 This ANDALOU naturals Coconut Milk Firming Serum is a nourishing facial serum with coconut milk amino and essential fatty acids. It instantly hydrates, fortifies, softens, and conditions improving the appearance of skin tone and texture for a healthy, smooth complexion. Directions: Use day or night. Apply lightly on clean face and neck prior to moisturizer. I love Andalou products and, in my opinion, their face serums are the best. Theyâ€™re light weight, work well, and are great quality for the money. I use this one, and the orange one (vitamin c), and find they work better than some more expensive brands that Iâ€™ve purchased from Sephora. You wonâ€™t be disappointed with this product. Love this serum. It has a soft wonderful coconut scent. My skin is very soft, smooth and moisturized after using this product. Definitely on my favorites list.